Welcome to Atlantica Resort, located along the sandy shores of Myrtle Beach. The resort consists of two oceanfront buildings, all featuring one and two bedroom condominiums. 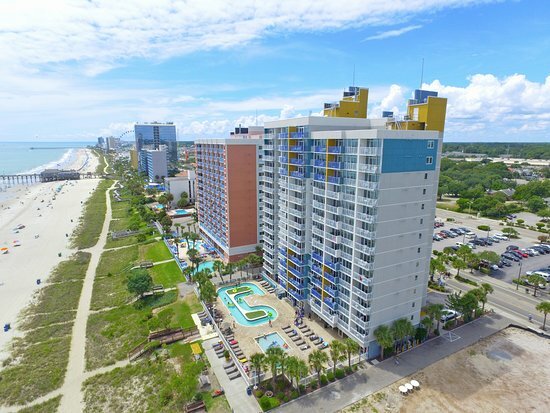 Condos for sale in Atlantica Resort definitely are worth considering when thinking of an investment property, due to Myrtle Beach being a top vacation destination. The resort is fairly new and centrally located, just a short distance from the Myrtle Beach Convention Center, Legends In Concert, Broadway At The Beach, and more. Atlantica Resort has several great amenities including: a fitness center, oceanfront pool deck, 150ft lazy river, large kiddie pool, hot tub, and more. Condos for sale in Atlantica Resort have several beneficial services included in the HOA fee. Below I have these items listed. Call your Atlantica Resort Expert Everest Vaught at 843-429-1876 for more information, or to view the magnificent Atlantica Resort. Feel free to email me as well: everestsellshomes@gmail.com. "My Job Isn't Complete, Until My Clients Dreams Are Fulfilled." Search all Atlantica Resort condos below!